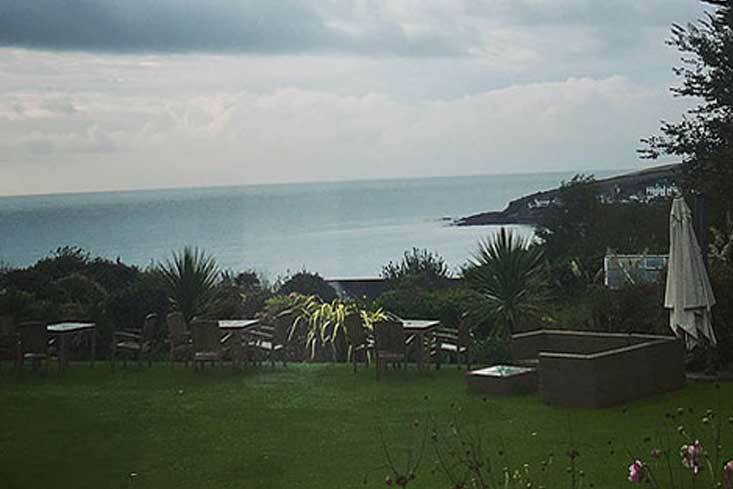 “The magic of our stay at The Rosevine started as we left the A30 to venture down the quintessentially Cornish lanes. Often shrouded with trees creating a real far-away-from-it-all feel, before we had even arrived at our destination. As we pulled into the car park we could not help but be impressed by the accuracy of the “big house by the sea” description coined in the hotel’s marketing material. Then, immediately, our focus was drawn to the late afternoon view over the sub-tropical gardens to the sea, and that huge sky that you only find when you venture out of the metropolis. The location could not be more idyllic. From the get-go the staff could not have made us more welcome. Our bags taken care of, a quick tour of the hotel, arrangements for dinner made – all with a huge smile and cheerful conversation that made us feel like we were old friends being welcomed for the weekend. Our suite was just perfect, taking in those views across the garden to the sea. Over the course of our stay, we enjoyed the stunning view equally well from the balcony, our dining area and even our bed! On the first evening we enjoyed a pre-dinner drink on the balcony enjoying the remains of the day as the sun slide slowly away. We took a dip in the indoor heated pool, and later on we made our way to the restaurant, perfect appointed with views over the garden to the sea. Supper that evening was a real surprise. Often hotel food can be bland, uninspiring and even taste distinctly pre-made. This is certainly not the case at The Rosevine. We enjoyed a real treat of seasonal, locally sourced food, freshly prepared by the hotels’ kitchen team headed by Tim Pile. I had a gorgeous starter of succulent local crab, fresh herbs served with pickled courgette and apple. My husband chose pan-fired scallops, pork belly served with crown prince pumpkin puree. On the main courses were equally impressive, duck leg and spiced sausage cassoulet for me and monkfish, pollack, mussel casserole served with saffron potatoes and caveola Nero. The duck was melt-in-your mouth tender and the fish perfectly cooked. The portion sizes were generous, so much so that we couldn’t manage a dessert! We selected a Chardonnay to go with our meal, and this also ticked all the boxes for me – oaky, buttery and golden to the eye. Once again, the service was excellent and the atmosphere relaxed and mellow so that we could take the meal at our own pace. No wonder this restaurant is Michelin Guide listed. On retiring to our room some hours later we were lulled to sleep by the gentle sound of the sea lapping the shore just 150 meters away. Breakfast started with a smile again from a cheery member of staff, who welcomed us even though in retrospect I realised we were slightly early for the day’s first meal. That’s one of the best aspects of this hotel, their willingness to work with you at your pace and not make you feel stupid! It may seem a small thing, but all too often this is not the case. The buffet selection of freshly baked pastries, fresh fruit salad, yoghurts, cereals, cold meats and cheese hit the spot to start with, I followed this with my favourite childhood treats – boiled eggs and soldiers. The eggs were perfectly cooked, which by this stage of our stay was not a surprise. We strolled on to the beach just 150 meters from the hotel and wandered along the coastal path after breakfast. Even after such a short stay, we left feeling relaxed, rejuvenated and thoroughly spoilt.